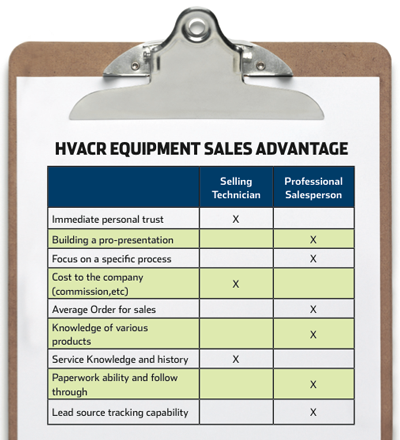 All outside industry assessments consider HVACR service and sales a contractor trade. Of course, if you’re a residential and/or commercial new construction company, that’s a more than accurate description. Ever since Ron Smith wrote his epic book, Dominant Market Share, in the early 1990s summarizing what a retail service operation should look like, however, the revolution to become more than a contractor has moved to far higher levels. Start-up HVACR companies begin with the owner running calls, selling systems, etc. After some time, the hiring of service technicians begins, and owner simply sells. Depending on the owner’s personality, the sales process is one of high-value, high service or somewhere in between. This evolution continues until the company grows to a size where leads are coming from places outside the service process (i.e., referrals, some advertising, personal lead generation). The owner is then faced with a huge question: What next? This is the proverbial fork-in-theroad moment where he either continues to sell through his technicians (and maybe himself) or hires a professional salesperson. sales process and who has the advantage. 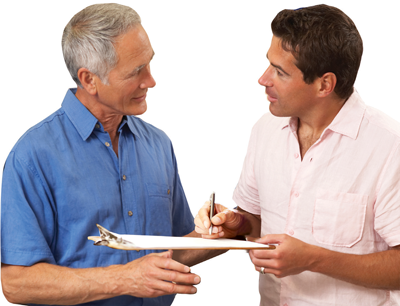 From the surface, the immediate benefits go to the selling technician: trust, cost and service knowledge. On every other point, which is a requirement to be a retail sales organization, however, the professional salesperson has an edge. The best technicians are, in many respects, great technical people. Communication skills, interpersonal skills and other soft skills are either part of their personality or may be learned if their personality allows. Good salespeople have those traits and are required to be good at them, which may include improvising, adapting and adjusting to their environment. These are skills held by approximately only 5 percent of technicians in the field today. What do you want your organization to look like? Consider how you want to go to market and what image you want to send to the residential customer. Do you want to be a retail sales organization or a residential contractor? This is a real choice. Some HVACR owners don’t like what retailers look like and some want to adapt their companies to be more like retail sales organizations. There are many resources owners can use to help shift and shape their company to look and run how they want when it comes to the customer sales process. Growing is never easy, but shrinking is far more challenging.